A 5yr old gelding who has 3 wins and 5 places from 11 runs on Polytrack including 3 wins and 3 places over 6f and is now back on his last winning mark from when he won a similar Class 2 A/W handicap over this trip at Lingfield. and 3/11 (27.3%) for 4.33pts (+39.4%) in claimers. Well, I drew another blank yesterday as Ay Tay Tate could only manage a third place finish at 100/30. He seemed to have every chance a furlong from home, but didn't have the final burst needed to get home ahead of the field. Two weeks ago, I put up Tartan Tiger from John (J.J) Quinn's yard as a 13/2 E/W bet at Hexham and he finished second that day, finishing like a train but not quite getting to the winner who he'd let get slightly too far ahead. I posted on 16th March, that I felt the horse would win a 3-mile race fairly soon and his opportunity comes around again today. He's back out at Newcastle, not that far from Hexham and I'm sure jockey Dougie Costello will have learned his lesson about keeping the horse closer to the pace. 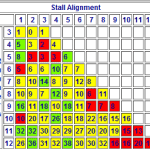 I do also have some statistics behind my choice today: it's not a case of just picking it based on that last run. The trainer John Quinn's record at Newcastle is pretty good, despite him not sending many runners to this track. In his career he has saddled 6 winners and 11 placers from just 33 hurdlers: this record reads as 3 winners from 5 in the last 2 years (2 from 2 in handicap hurdles). Click here to view the best odds on the 5.25 Newcastle. 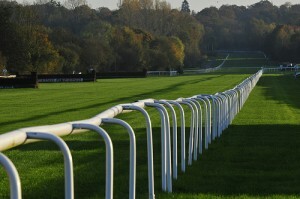 The John Quinn trained Recession Proof, with jockey Dougie Costello aboard, scored a convincing victory in the louiserose.co.uk Novices' Hurdle at Lingfield on Tuesday. 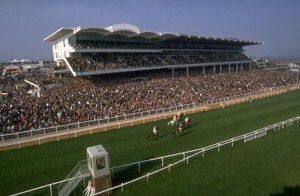 Held up early in the proceedings, Costello and his mount made good progress after the sixth, travelling well to track the leader three out, hitting the lead after the last to deny race favourite Brackloon High by a length and a quarter, with Latin America a distant sixteen lengths further behind in third place. "He's a very strong traveller but it was his first time on ground like this and his class got him through," said Costello after the race. "He can be quite keen, but we tracked Richard Johnson (aboard Brackloon High) quite comfortably. "He pulled off both his shoes during the race, so I got off him after the line." Paul Taylor, a member of owner Mrs Stone's large contingent in the winner's enclosure, commented, "He came to the owner, rather than the owner coming to him! "He was beaten by Dunraven Storm quite easily so we won't fly too high - he's a handicapper rather than championship class." The eight year old, with jockey Dougie Costello aboard, went to the front early in the proceedings, looking very comfortable and, apart from a couple of mistakes, appeared to have the race in hand. Recovering from a mistake at the last, he powered home crossing the line eight lengths the better of his closest challenger, Any Currency, with Junior a length further behind in third place. Winning trainer Mulholland said, "We were due to come back here in December, but there's a possibility we might have to go out of handicaps now. "We were hoping he could improve and he has done. "I've stood in the same spot in the weighing room for his last three wins now and I like to keep things the same if I can. "I'm lucky I've got a good jockey on board so I don't have to worry about things too much but I got more of a thrill watching that than I ever did riding. "We'll definitely be looking to coming back here some time - he loves it at Cheltenham." Dougie Costello commented, "He's a specialist around here - he hits the hill here and finds an extra gear. 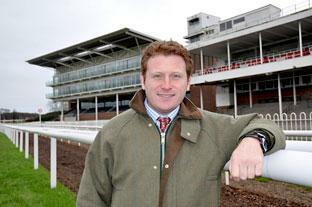 "Neil is a serious trainer and has done marvellous with this horse." The Neil Mulholland trained Midnight Chase made most of the running to give an impressive performance for a victory in the showcase event on the opening day the Cheltenham two day fixture in the Sportingbet.com Handicap Chase. With jockey Dougie Costello aboard, Midnight Chase soon took the lead and, other than briefly being headed by Qulinton, stayed at the front of the field for the duration, crossing the line first by a very easy ten lengths from runner up Lacdoudal, with Ouzbeck back a further one and three quarter lengths in third place. Winning trainer Mulholland said after the race, "The horse has run here four times, winning twice and being placed the other twice, so obviously he likes the course. "He will be back in November as he seems to handle any sort of ground."